Nissan Primera P12 diagnostic port or OBD2 port is shown in the picture below. The diagnostic port is used for diagnosing faults and communicating with the vehicle. 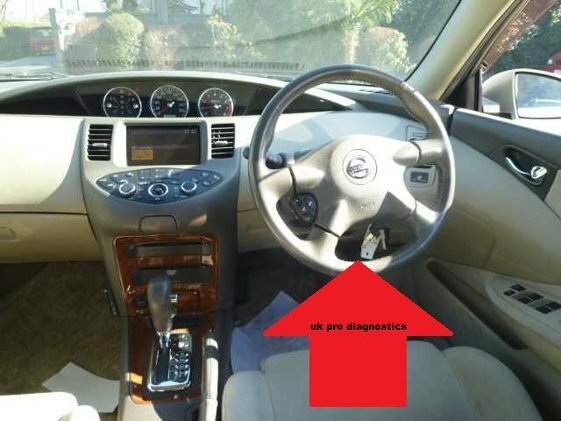 Common problems with the Nissan Primera P12 which need to be diagnosed are ABS lights, SRS airbag lights or engine faults and EML or MIL lights. Use the diagnostic port as shown below with a code reader to find the faults.